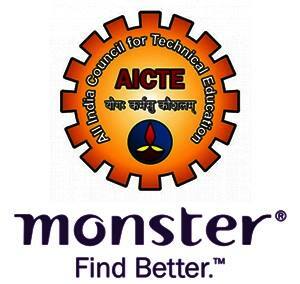 All India Council for Technical Education (AICTE) has signed a memorandum of understanding (MoU) with Monster India, to aid in providing job opportunities to students and first-time job seekers. As a part of this alliance, Monster India will act as an interface among students, colleges and recruiters by empowering institutions approved with AICTE, to map their students’ talent and provide them with relevant job opportunities, according to a release. In this partnership, Monster India will manage and monitor campus recruitment activities of over 10,360 colleges approved by AICTE with a collective intake capacity of over 36 lakhs students. This comprises of students from various streams- engineering and technology; applied arts and craft; hotel management and catering; management; pharmacy and architecture and town planning. Monster India apart from creating and managing the platform will also provide a facility for practice tests to check employability, identify skill gaps through assessment and suggest proactive measures to overcome it. The practice tests include two aspects- general aptitude and core subject related. These tests are currently available for engineering streams and will be soon added to other streams as well. “Such MoU will definitely help college students and fresher candidates seeking career opportunities. The young population is going to set the stage for a bright India tomorrow," said Anil D Sahasrabudhe, Chairman, AICTE.